GT Academy began in 2008, as a driver development program that took Gran Turismo gamers, and turned them into professional racecar drivers. The program supported by Nissan and Playstation, has continued to find talent in countries across the globe. The program has expanded immensely from its start in 2008, and in 2014 five GT Academy winners were crowned. 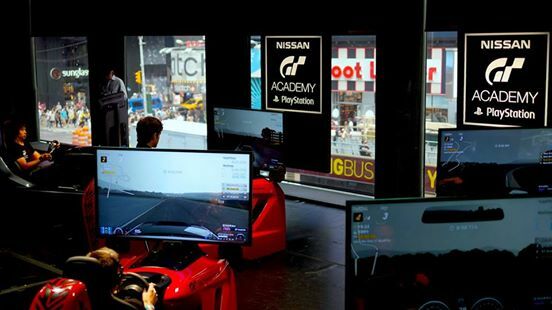 The 2014 North American GT Academy eliminations began online with Gran Turismo 6 at Spa Francorchamps, where individuals tried to record a lap time that placed them inside the top 28 in the United States, and top four in Canada. I had two weeks to record a lap, and on the final weekend, while racing in the SCCA June Sprints at Road America during the day and on my Playstation 3 at night, I was able to record a lap time of 2:15.238 that placed me 20th in the nation and 230th in the world. I was relieved to make the cut after two years of trying and was headed to the next step of the competition New York City, National Finals. Once in New York, myself along with 31 other gamers were tested in Speed, Strength, and Soul. Danny Sullivan judged the competitors and narrowed the group from 32 to 12. In New York we participated in an autocross competition, an online racing tournament, and finally a media interview. After two days of competition I made the list of 12 finalists and was going to Silverstone, U.K. for GT Academy Racecamp. At National Finals in New York City. We participated in a series of online races where we each tried to display our racecraft and speed on Gran Tursimo 6. This along with an autocross and a media interview narrowed the field to 12. Excited and motivated from that point on everything I did was in preparation for Racecamp. I ran every day, lifted weights, and did numerous car exercises in preparation for Silverstone. At Silverstone, the 12 of us competed in numerous challenges testing our Speed, Strength, and Soul. Rob Barff, Danny Sullivan, and Boris Said were the judges for the competition. Throughout the week I was able to continue in the competition watching fellow competitors get eliminated and sent home. On the final day I made the last race where three other competitors and I raced head to head in an eight lap race. I took pole position by a tenth and was able to win the race in the Nissan 370z Racecar. After review from the judges on individual performances I was crowned the 2014 GT Academy Champion. 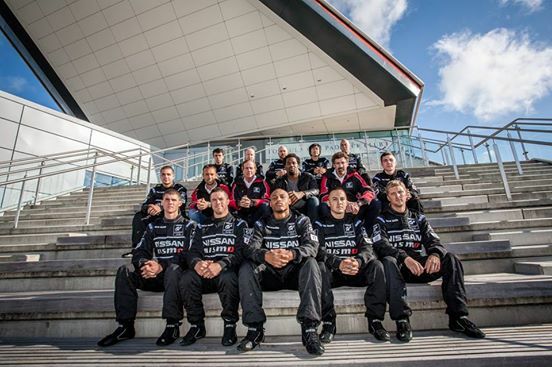 Myself and the eleven other GT Academy competitors along with the judges for GT Academy 2014. To view the 2014 GT Academy week through my eyes click below.